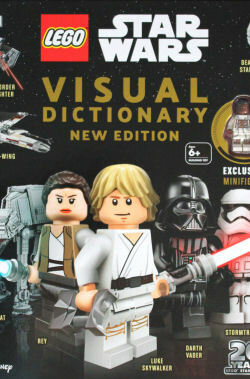 New movies and new TV series means new sets, which is a great opportunity for DK to update their LEGO Star Wars Visual Dictionary series. 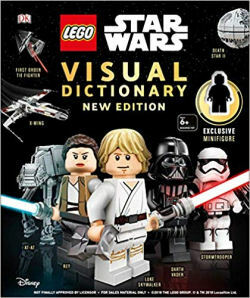 The book is broken down into five chapters; the first three chronicle the history of the Star Wars galaxy in Prequel, Original and Sequel Trilogy groupings, followed by a section of specialist sets and then a look beyond the cookie-cutter LEGO Star Wars franchise. 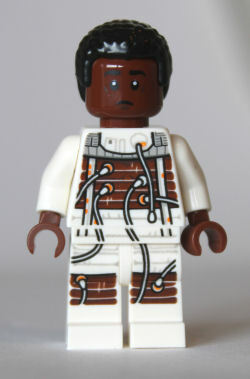 And of course, it comes with an exclusive minifigure. Explore the LEGO ® Star Wars ™ galaxy with this visual guide to the minifigures, vehicles, and sets from the entire Star Wars saga. 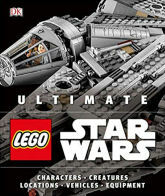 Discover every detail of the Millennium Falcon, look around the Death Star, examine Poe Dameron's X-wing starfighter, and find out about all your favourite LEGO Star Wars minifigures-from Rey to Darth Vader. 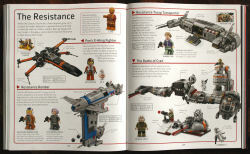 Learn how the awesome sets are created in the Beyond the Brick chapter, which features concept art and an interview with the LEGO Star Wars creative team. 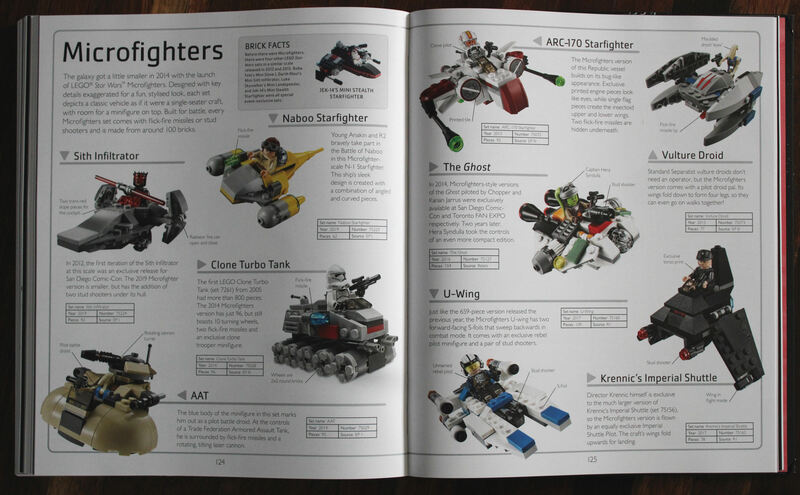 Before diving into the meat of the matter, DK delivers a short introduction before stepping into a timeline of 20 years of LEGO. Remember that the dictionary is a visual one so you won't be able to sink your teeth into any kind of meaningful text, but if vanilla is your favourite flavour you will be happy. 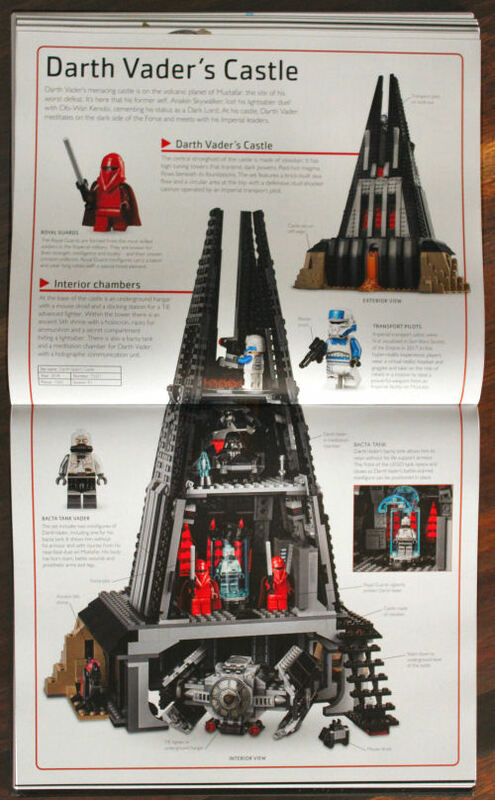 Likewise, the chronology, which contains moments from the timeline of LEGO's production of the LEGO Star Wars theme, neglects to include any milestones of the wider LEGO Star Wars galaxy, like the video games or previous LSWVD releases. Anyone wanting those should attend the LEGO Star Wars collecting track panel at Celebration on Friday, April 12th between 6 and 7 pm or the official LEGO Star Wars panel on Saturday, April 13th between 1 and 2 pm. As always the photographs really stand out - which is hard to imagine because the book is packed with stunning imagery. While it still tickles me that DK is still using photos I provided for the original LSWVD in 2009, the fact that the only grammatical error in the entire book is in the sentence that recognises my contribution is irksome! spread pages With the inclusion of more recent sets the photos are largely provided by LEGO which means they'll be the ones you've already seen at the LEGO shop@home website, but no-one ought to complain about the double-page portrait spread of Darth Vader's Castle. minifig picThe minifig, which is the carrot on the platter of mouthwatering contents, is an interesting choice. The selection, according to Kurt Kristansen and Jens Kronvold Frederiksen, is because the moment where audiences see Finn staggering around in his bacta suit was one of levity, and if LEGO is about anything it is fun. The inclusion also gives an opportunity for fans to own a minifig that wouldn't have necessarily been made but the opperunity to have a limited edition 20th anniversary yellow skinned minifig was one that most collectors will wish hadn't been passed up. It is hard to figure out who this book is aimed at - children or collectors? 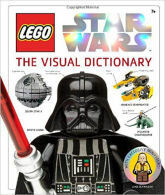 During the 2005 to 2010 peak in LEGO Star Wars popularity that the first Visual Dictionary surfed in on, the content and concept was fresh and it appealed to both. 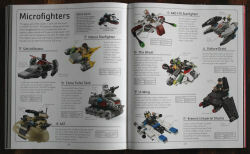 Nowadays the line of construction toys is too big to be contained in 160 pages and with the interest of the target market (8 to 12 year old boys) waning and the enthusiasm and dedication of older LEGO Star Wars fans being reignited, it is time that DK finds a new way to deliver such rich content in a more collector-focussed way. 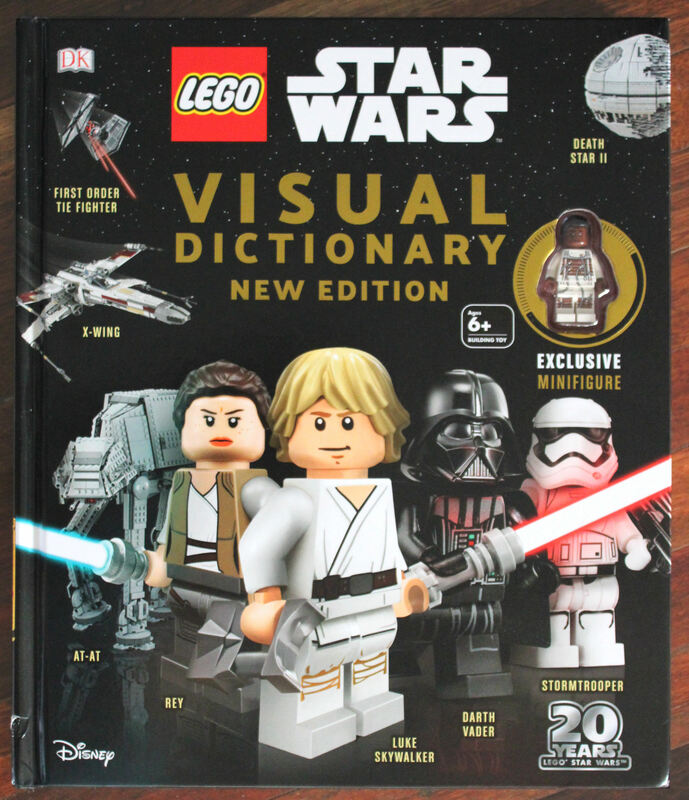 Their release of Ultimate LEGO Star Wars book in 2017 seemed to be a big step forward, but the rehashing of the Visual Dictionary style is a step backwards. Give the buying/building/playing/collecting fan base their due - it's time to reinvent the format! If you've got the other two LSWVD titles already you aren't going to get much more out of this addition than a more complete book collection, but if this is your first purchase in the series it's a great place to start. 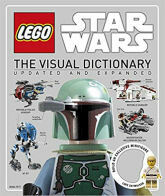 This new edition is out on April 2nd and has an RRP of US$21.99, CA$28.00, £17.99, €24.49 and AU$34.99.